Indulging in a spa treatment or two is a popular pastime for many when going on holiday, and why not, you are there to enjoy yourself for a week or two after all. If you’re currently in Goa or looking to travel there in the future, be sure to look a little further past the usual treatments you might expect, and introduce yourself to Ayurveda. A healing system which was developed in India in excess of 3,000 years ago, an Ayurvedic treatment aims to restore balance and good health, and could range from a massage or a facial, to treatments for specific parts of the body and even certain diets and detoxes. The great thing about this type of treatment, is that it’s 100% personal to you. Consultations are usually held to determine the kind of treatment that you need or would like, or you can simply choose from a range of different treatments. 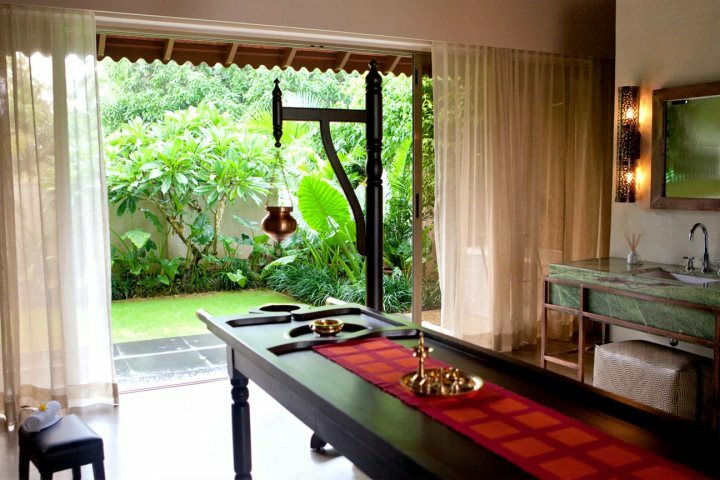 Either way, Ayurvedic treatments can offer a tremendously relaxing experience, and add that little extra something to your holiday in Goa. To help you understand more about Ayurveda and the treatments available, here’s our top 5 Ayurvedic spa treatments and where you can find them. Also known as the ‘Steam Bath’, this treatment uses steam and Ayurvedic oils in order to help the body detoxify through sweating. A 20-minute session is offered by the ITC Grand Goa, where you can experience benefits such as stress relief, joint pain relief, improvement of circulation and cleansing of the skin. There are other advantages to a steam bath, of which your consultant at ITC Grand Goa can discuss with you. Discover the ITC Grand Goa. Focusing on pressure points across the whole body, herbal oils are used during this treatment as they penetrate all seven layers of skin which increases the effect this massage has on the body. This treatment is recommended for stress relief, as well as for osteoporosis, arthritis, and general aches and pains. Discover the Alila Diwa. 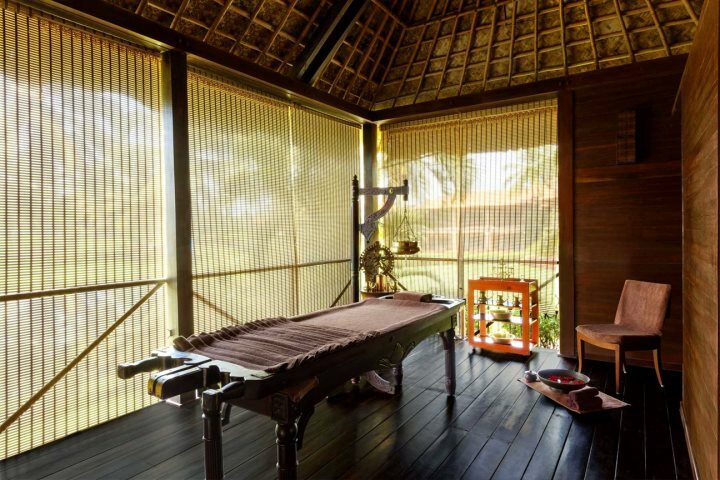 Rather than for aches and pains or stress relief, Mukhalepā is instead a traditional Ayurvedic beauty treatment. A facial which is undertaken using herb-infused oils, this treatment aims to cleanse and tone delicate skin. The Taj Exotica recommend this is paired with a relaxing foot massage which certainly sounds tempting. Discover the Taj Exotica. 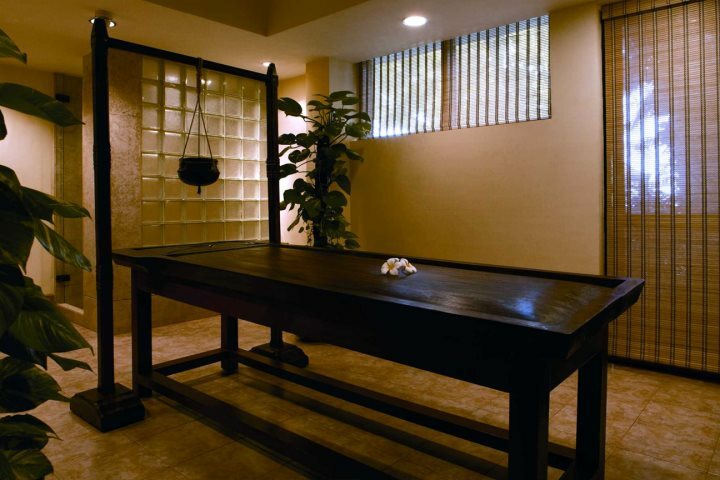 This body treatment originates from Kerala, south of Goa, and incorporates a number of different areas. It is partly a soothing foot massage which is designed to benefit the nervous system and promote sleep by releasing negative energy, along with a focus on the back to help tone and strengthen the muscles. A full body massage is also then performed using the herb-infused oils, which should leave you feeling relaxed. The Leela recommends this treatment specifically for men without spinal complaints. Discover The Leela. 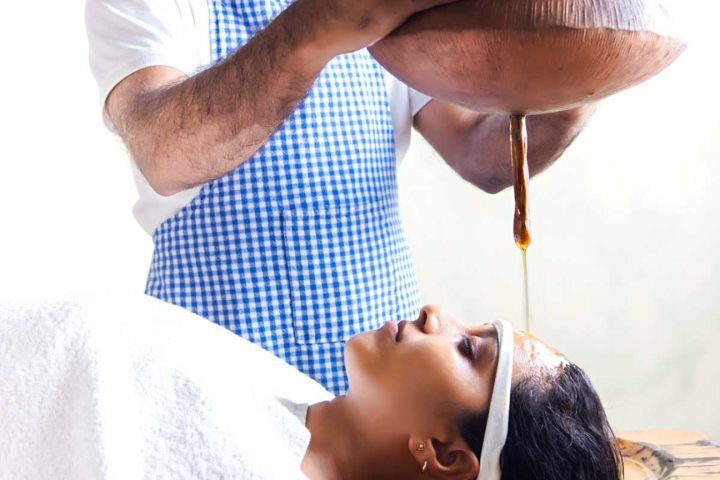 A treatment which involves only your head, Shirodhara is designed to stimulate your nervous system whilst relaxing you mind. It can improve sleep quality as well as relieve headaches, and is an ideal treatment for sufferers of stress related disorders. The treatment involves pouring a continuous stream of warm, herb-infused oils directly onto the forehead after a massage. Discover the Nilaya Hermitage. If you’re interested to try an Ayurvedic treatment during a holiday to Goa, be sure to take a look at our Yoga and Spa Holidays where you’ll find more information about each of these hotels.